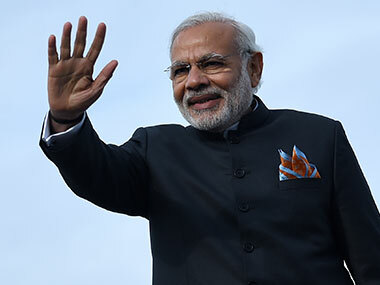 Rajkot: Prime Minister Narendra Modi on Thursday welcomed the arrival of Narmada river waters in the city's main water reservoir Aji dam, solving its perennial water woes. Modi formally welcomed Narmada dam water into the Aji dam. Aji dam is located some 450 kms from Narmada dam in South Gujarat. 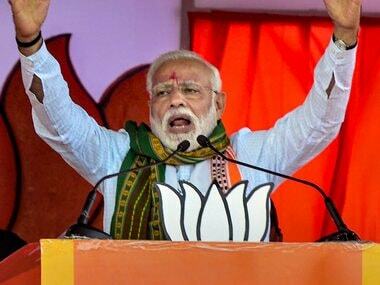 Reminiscing his initial days after taking over as the Gujarat chief minister in 2001, Modi said soon after his becoming the CM he came to Rajkot to worship at Aji dam after it received water to the brim, a rare event that has taken place only eleven times in the last 40 years. "We have filled the dams today... a government which works with right intention to bring change in the lives of common man succeeds. 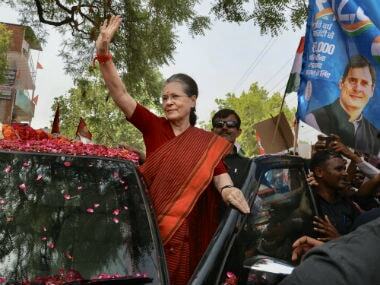 We have travelled this far due to hard work and good intention," he sad while crediting the state's BJP government of ensuring 24-hour electricity and water supply to the parched lands. The dam has been filled with water of Narmada under Saurashtra Narmada Avataran Irrigation Yojna (SAUNI), which envisages to fill up 115 dams of parched region by laying a network of pipelines from canals of the Narmada dam project. 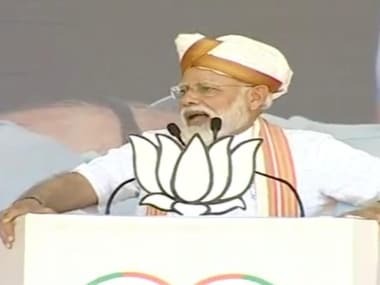 Modi said the constant supply of water in dams in Saurashtra region connected under SAUNI Yojana will help farmers reach new heights of prosperity. Modi said with completion of Narmada dam project on the river Narmada, people of the state will reap rich dividends in the coming years. Modi also urged people to use water judiciously by saving and reusing it. "Water has reached here but with it, the responsibility has also increased. I would like to tell people of Gujarat that this is not just water but a source of prosperity. This water is like 'prasad' of God. We will have to save water. And I would beg you to save water," he said. "Farmers in Kutch have adopted drip irrigation and have changed the face of farming in the arid land. Farmers here too should adopt drip irrigation so that they produce more by using less water," he added. Modi also highlighted the need for waste water management. "Waste water recycling needs to be taken seriously in the direction of saving and utilising water," he added. 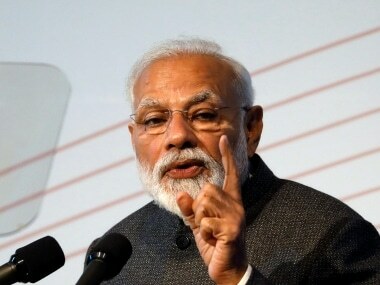 The prime minister was addressing the public after dedicating phase 1 (link 2) of the SAUNI project and laying the foundation stone for the Phase-2 of Link 3 of the project. Rajkot city was also recently included in the list of smart cities. HACATHON, a project of Rajkot Municipal Corporation seeking public input to solve civic problems through online competition. different parts of Rajkot city.